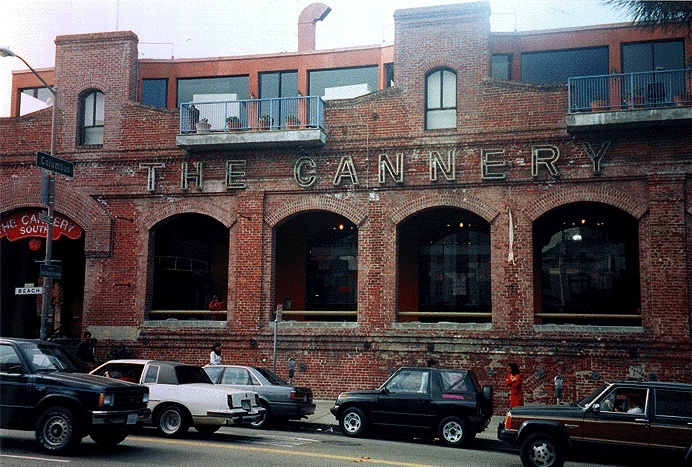 Entrance to the old Del Monte Cannery in North Beach, mid-1990s. 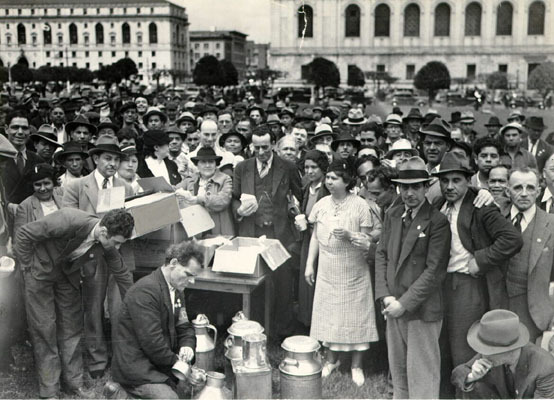 Cannery workers enjoy a free lunch in Civic Center, 1938. In June 1899 eighteen companies, half of all canning capacity in California, formed the California Fruit Canners Association. 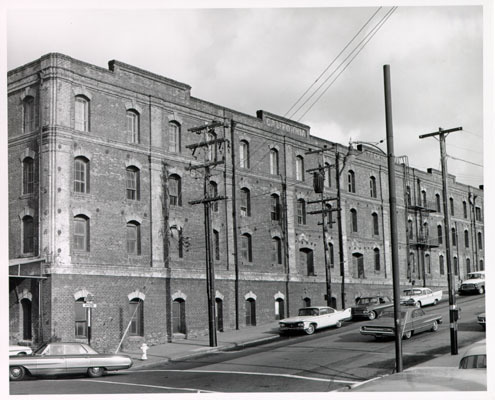 Visitors to San Francisco can still tour what was once the Association's largest peach cannery, now The Cannery shopping plaza along the city's northern waterfront. One of the companies forming the Association brought with it the Del Monte brand name. The Association embraced the brand name, which they first used in 1909.